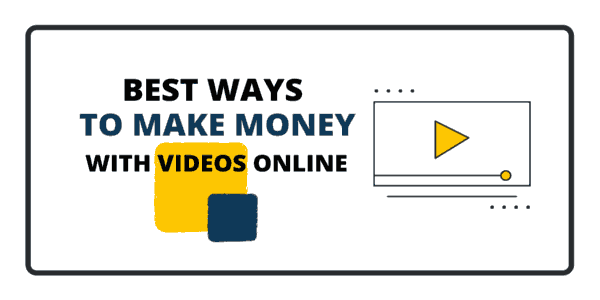 In today’s post, you’ll learn how to make money with videos online. It’s not limited to how to make money on YouTube. There’s ways beyond YouTube to cash from online videos. In fact, I’ll list 10+ ways get paid for your videos. And I’ll give you details for each method. What You Need To Know To Get Paid For Videos? If you’re reading this, maybe you have some videos you’d like to monetize. Great! However, using some of the methods below, you can make with videos that you create or other people’s videos you have rights to use. Canon EOS Rebel SL2 (200D outside North America) : This is the camera I am using and it is perfect for vlogging and photography. It has a flip out touch screen, external mic port. It shoots HD quality videos. It is really affordable. Outside America, the camera is sold under the name Canon EOS 200D. Boya Clip-on Microphone: To get high quality audio. Audio quality is more important that video quality. HitFilm Express: for video editing. You’ll have to learn how to use it but it is free and powerful. You can also make videos using screencast software for recording screen and/or slides. You can use online video makers or Desktop software to create them. So, while you can use people videos, it is not difficult to create yours and have more controls. You’d like to get paid to make videos, sell clips or just by upload or embedding them? As Promised, I’ll start with YouTube and continue with methods beside it. The most obvious way to make money on YouTube is to display ads on and next videos using the YouTube partner program. When your business model is OK with ads, it helps. the YouTube partner program is not open to all countries. And in eligible countries, you need 1000 subscribers and 4000 hours of video views the last 12 months to join. So, take YouTube one step further. It is simple as 1) creating a video helpful for your target audience and 2) redirect them to the desired product using links in video description. DailyMotion is a popular video publishing platform like YouTube; not so popular i have to admit! But it allows you to earn money from videos in a particular way. You make money from your videos uploaded to DailyMotion and videos embed on your website. So, you get the traffic and cash from pre-roll and banner ads inside your videos. The minimum payout is $100. They pay via Payoneer and PayPal. You can upload your videos both on YouTube and Dailymotion to boost revenue. I find Dailymotion videos a little slower than YouTube. So, I don’t like to embed them on my blog. In the next steps, you’ll learn how to take Dailymotion further and earn from people’s videos too. Related: List of Money Making Programs That Pay Via Payoneer. You can get paid to watch videos online. There’s a few companies that really pay you can trust. Swagbucks: Get paid to take survey; get cash back shopping; get paid to watch videos on your computer or on your mobile. Get $5 bonus just for sign up. Videos, paid emails and high paying surveys are available for top tiers-countries only. But international members get paid completing micro tasks and searching the web. Get paid watching advertisers’ videos with Swagbucks. 4.- Be part of Adsense for Videos Programs. Google has another product different from YouTube partner. It is called adsense for videos. The videos must be hosted on your own server and get millions of hits per month! Then you can apply and show adsense banner, pre-roll advertising inside your videos to increase your monthly revenue. I know, many of you don’t have that amount of views on hosted videos. That why the next step get rid of that limit. In-video advertising is the best way to earn from embed videos on your blog. 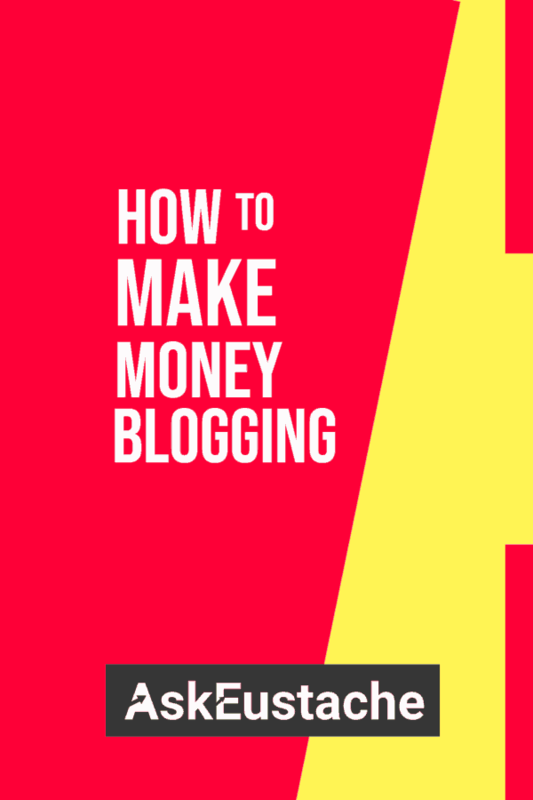 That way, you can monetize any video that is on your blog. 1.- Embed DailyMotion Videos: Once you enable monetization on Dailymotion, you can embed individual video or a widget that show related videos automatically. You get paid for displaying pre-roll, mid-roll and post-roll ads. Those ads that appear before, on-pause and after the video. 2.- Embed MediaVine videos: Mediavine is an ad management service to display premium and high paying ads on your blog. Your blog needs at least 25,000 sessions (not pageviews) to be accepted into the program. But once you’re into the program, you can upload videos within MediaWine dashboard and embed them on approved blogs. Your videos is hosted free. You save on bandwidth and hosting costs. But you earn money through your videos with a custom video player. You’ll, maybe, enjoy a video player with no related videos that do not belong to you. 3.- Join ad networks with in-video ad format: The ad networks with in-video ad formats don’t have hosting features. You embed YouTube videos like always. You add the codes the ad network gave you onto your website. And it detects video player to insert ad. An example of such ad programs is “Adstract”. No minimum traffic requirements. They pay via PayPal and Payoneer. You earn money also from on-page advertising. There are those ads you normally show on your own website. This is the method anyone can try out. It doesn’t require that you create video. You don’t have to meet minimum views required by adsense and some ad networks. You earn from different kind of on page advertising ( in-text, in-image, in-video, pop, text and banner ads)! It adds up. You can use it while using many of the methods listed above. Just host your videos and embed someone’s video, who give rights, on your website and earn money from the traffic. It is known that videos increase click through rate from search engines and time on site. You can use plugins and programs to create video sitemap that will help popular searches engines like Google and Bing to index your pages with videos. You can generate sales for your products or promoted products with video marketing. Create short and descriptive videos about products you promote; it can be review, presentation, tutorial. With a call to action at the end of the video or within the video description. Just check out our article about making money with affiliate programs. Create footage videos and sell them online. DepositPhotos: DepositPhotos is a stock photo and video site allowing you to sell photos and videos. Create generic videos that can be used as intro, outro and make money from them. Shopify: Shopify allows you to start an online retail business. Sell anything online and offline. You can then start an online store to sell your videos and control everything. Create video on demand online and get paid for your skills. Look for video jobs on fiverr, peopleperhour, elance or seoclerks.com. You can set your own price and work as your own schedule. So, these 9 ideas can make you thousands of dollars each month; it’s all depend on your video popularity and quality! You can upload your videos on Facebook or start a live video event to make money from ads on Facebook. Facebook has an article about making money from video with Facebook Audience Network. Facebook shares 55% of advertising revenue generated from your instant articles and videos uploaded on Facebook. Now, it is time for you to make money with videos online. Be smart. then, you upload it on Mediavine or embed the Dailymotion video you uploaded. you optimized the page where the video is hosted for ad revenue. you upload the video to facebook for more revenue. All these combinaisons can be made for each and every video that you make online. Then, you look for videos you have rights to use. And you make sure you respect intellectual properties. Hi Sony! Thanks for writing your appreciation. You own a great site; it just found that ads put down suggested content in sidebar too much! That’s a great post there! Thanks for the information. But for some video host it requires more likes and more traffic in it, so you will be thinking on how to improve it. If you wanted to earn money online easily you can try this site InternetIncome88 dot com. I’ve been using it and making it as a money making formula for over a year already. You’re welcome, Kay! Sure, we can make money with videos in many ways other than YouTube.